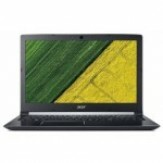 Flipkart selling Acer Aspire 5 Core i5 8th gen 15.6-inch FHD Laptop (4GB/1TB HDD/Linux/Steel Grey/2.2kg), A515-51 Rs. 29999 only Lowest and best Price. You can follow the below steps to buy this product at their deal price..Keep Visiting dealsheaven.in for more Best offers ,hot online deals, promo code, free deals online,free samples, coupons and discount . How to buyAcer Aspire 5 Core i5 8th gen 15.6-inch FHD Laptop (4GB/1TB HDD/Linux/Steel Grey/2.2kg), A515-51?